Watching the trailer makes one realize the power of film and sound versus pen and paper, camera and keyboard when documenting, reporting on or critiquing architecture. The sweeping camera angles lovingly caress both Sullivan’s remaining and demolished work. Set to a piece by Philip Glass from the movie, “The Hours,” the trailer alone may bring you to tears, even just watching on YouTube, as you realize how much of his work has been destroyed. It looks like an incredibly moving film and I hope it makes its way to San Francisco. Director Mark Richard Smith became interested in Sullivan’s work when he moved to Chicago to pursue a graduate degree in history at Loyola University. 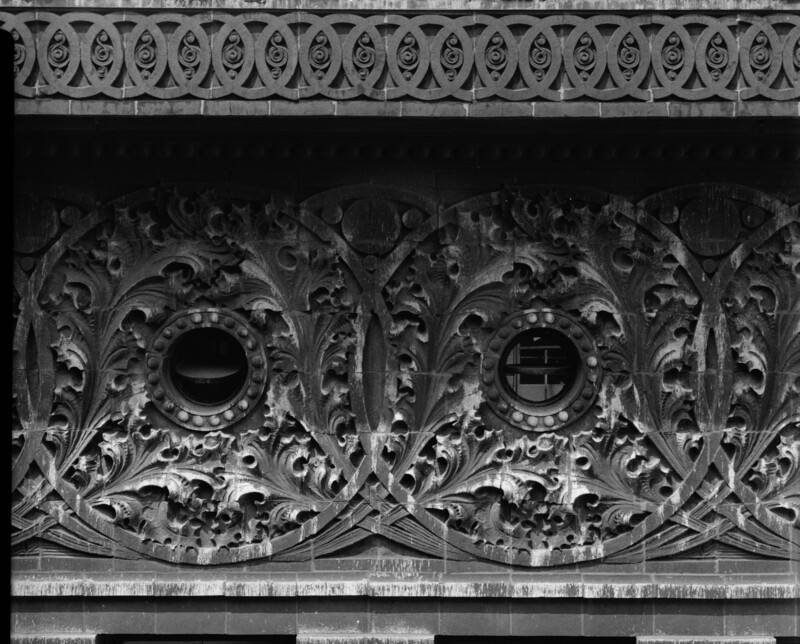 The Chicago Tribune wrote that the film relies heavily on the photographs of Richard Nickel, the photographer and preservationist who died while getting ornament and artifacts from the Chicago Stock Exchange during its demolition. The building collapsed beneath Nickel, as he was trying to record it for posterity. Ultimately, the final version didn’t use Nickel’s photos, but the filmmaker did film most of his extant buildings in the Midwest and the East Coast. Smith has submitted his film to the Mill Valley Film Festival, so hopefully the documentary will come here later this year. 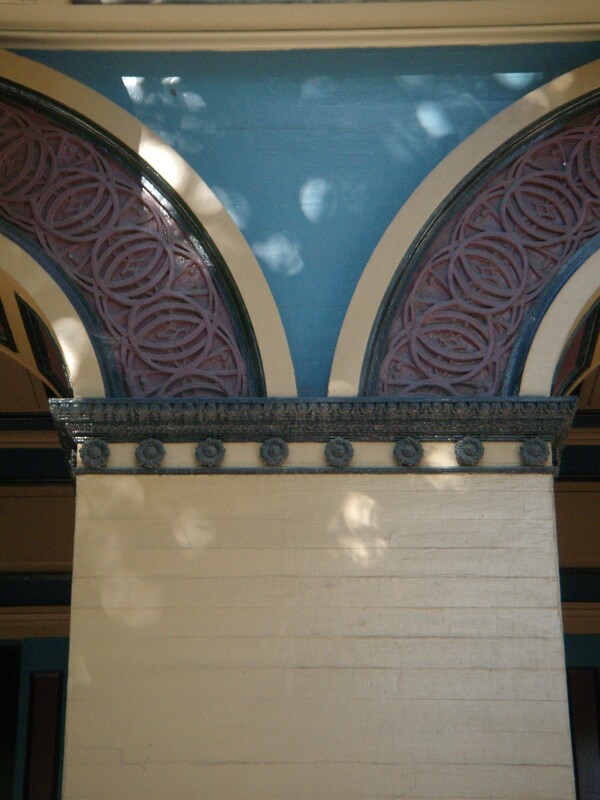 Sullivan never worked in the Bay Area, but even so, it is possible to find both his influence, and that of the other architects of the vibrant Chicago School, all of whom were influenced early on by Henry Hobson Richardson and his interpretation of the Romanesque. 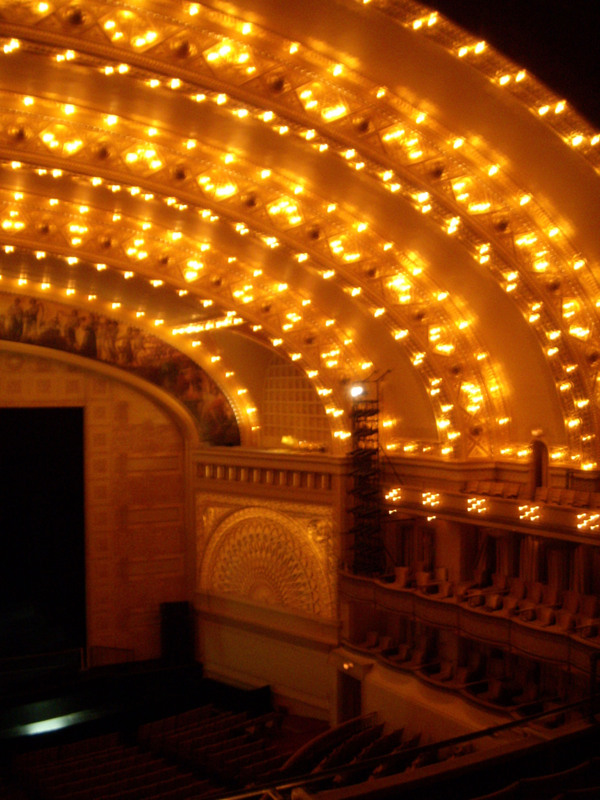 The Auditorium Building in Chicago is an example of the heavy masonry and arches depicted in Richardson’s Romanesque style, also found in two San Francisco buildings of the era. 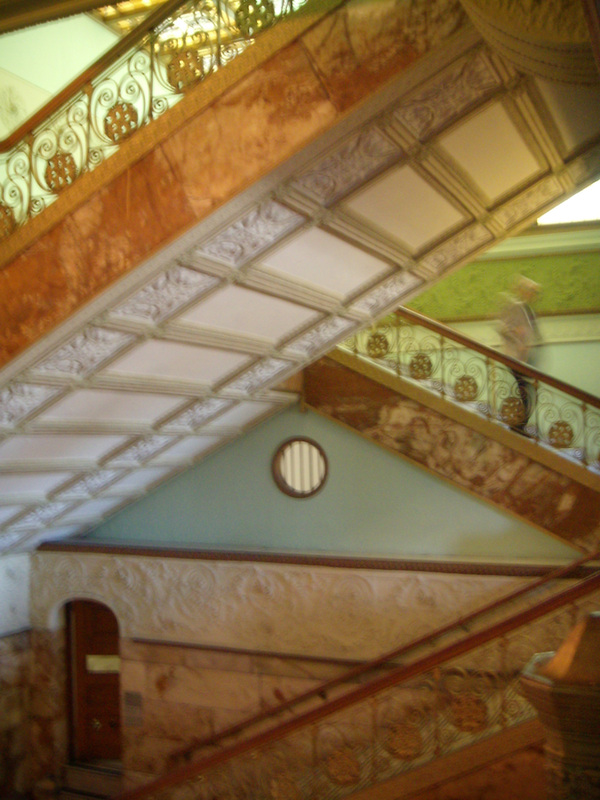 The Auditorium also includes examples of organic ornament and craftsmanship espoused by Sullivan, a concept he also engrained into the firm’s chief draftsman, Frank Lloyd Wright. Its construction was also a tribute to the engineering ingenuity of Dankmar Adler, who designed a massive floating foundation to support the heavy structure in soft Chicago soil. 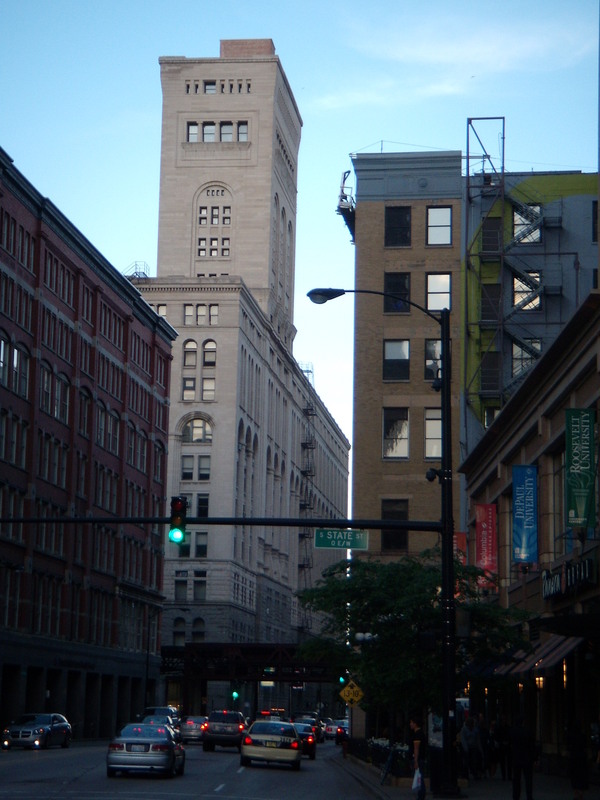 One local example of the Chicago School with flashes of Sullivan, is the Mills Building at 220 Montgomery. 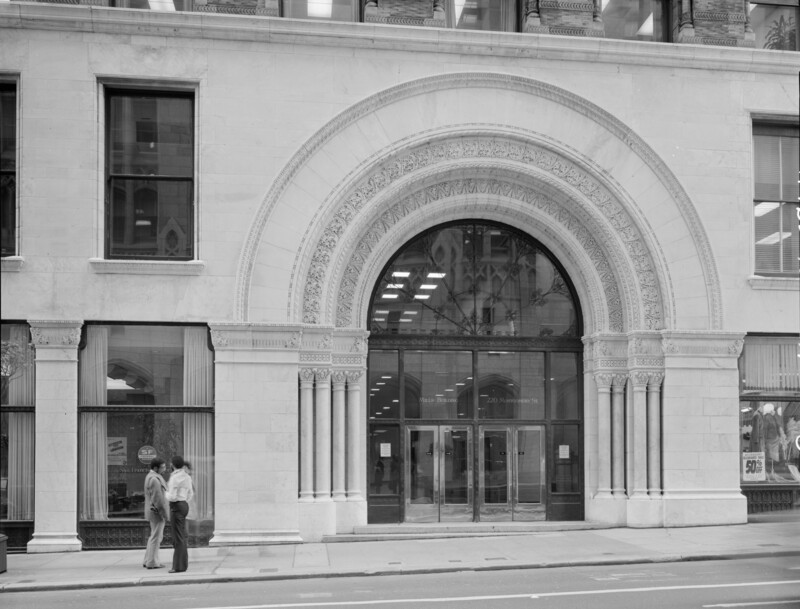 The original 10-story office building was one of two local projects designed by partners Daniel Burnham and John Wellborn Root. The other is the De Young Building, the first iron and steel-frame skyscraper in San Francisco, on Market and Kearny, its sandstone restored after being hidden for decades by ugly metal cladding. It is now the Ritz-Carlton Residences. 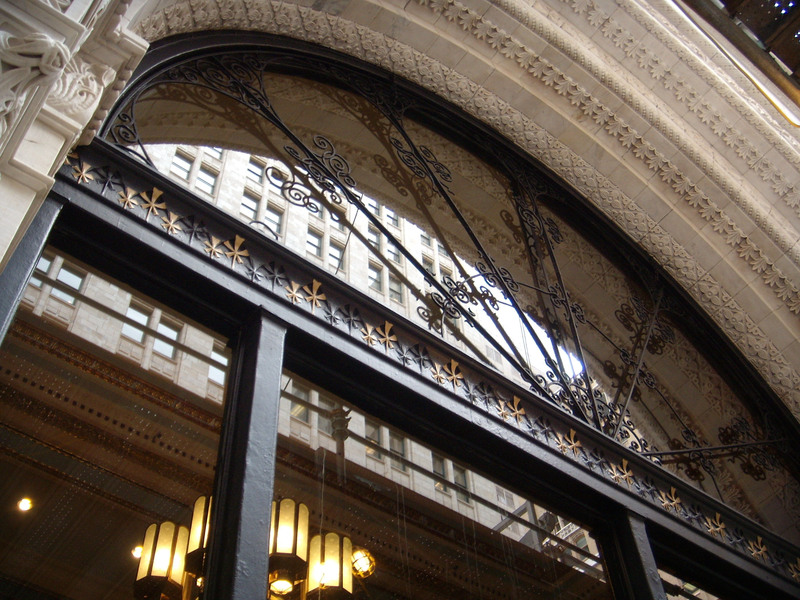 It’s easy to see the influence of both Richardson and Sullivan in the building designed for financier Darius Mills, which took two years to build and was completed in 1893. The multi-layered marble arch that dominates the entrance evokes the sweeping, layered arches in the interior of the 1889 Auditorium Theatre, which also predicted the “Golden Door” arch in Adler & Sullivan’s Transportation Building at the 1893 Chicago World’s Fair. 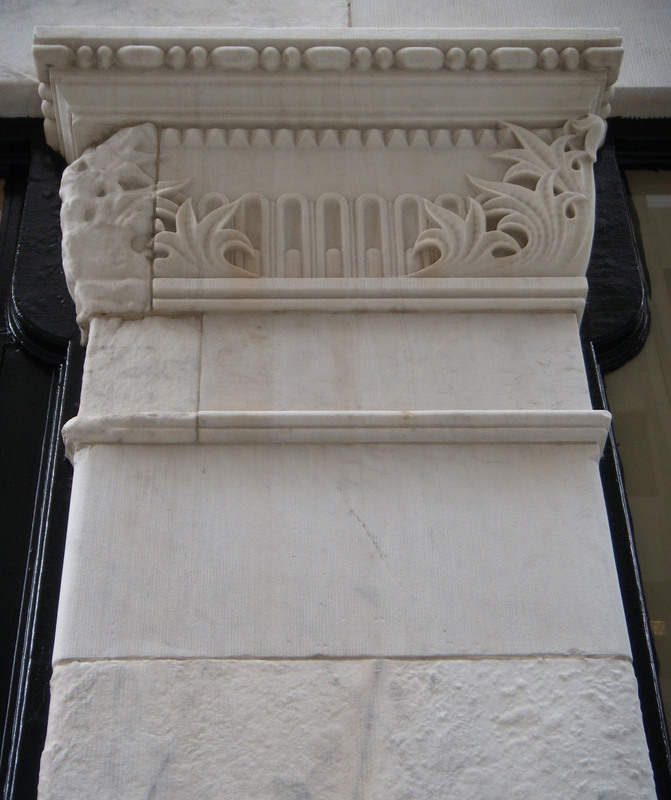 But as Sullivan wrote, the stunning Beaux Arts beauty of that historic fair may have enthralled Americans, yet it also set back the progress of modern American architecture. Another Sullivan inspired work is a row of flats on Sanchez St. Architectural historian extraordinaire Gary Goss points out the arches and circular ornament on this row of flats, designed by Henry Geilfuss & Son. 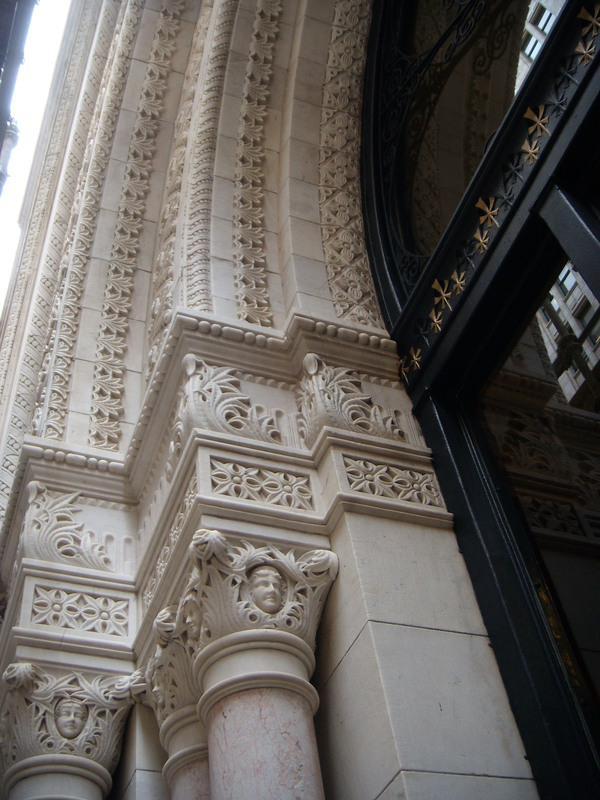 In San Francisco’s case, the ordered Beaux-Arts buildings constructed after the 1906 earthquake and fire, and some ideas from Burnham’s “City Beautiful” plan incorporated into the new Civic Center, brought a semblance of dignity that had been missing in the overwrought Victorian and neo-Gothic chaos, some of which had been characterized by outspoken architect Willis Polk as “architectural monstrosities.” It would not be until after World War I that local architects like Timothy Pflueger would eventually seek to flee the historicism Sullivan fought so hard to escape. Today was the birthday of that great, my-way-or-the-highway American architect, Frank Lloyd Wright. Born June 8, 1867, today marks the 143rd anniversary of his birth. 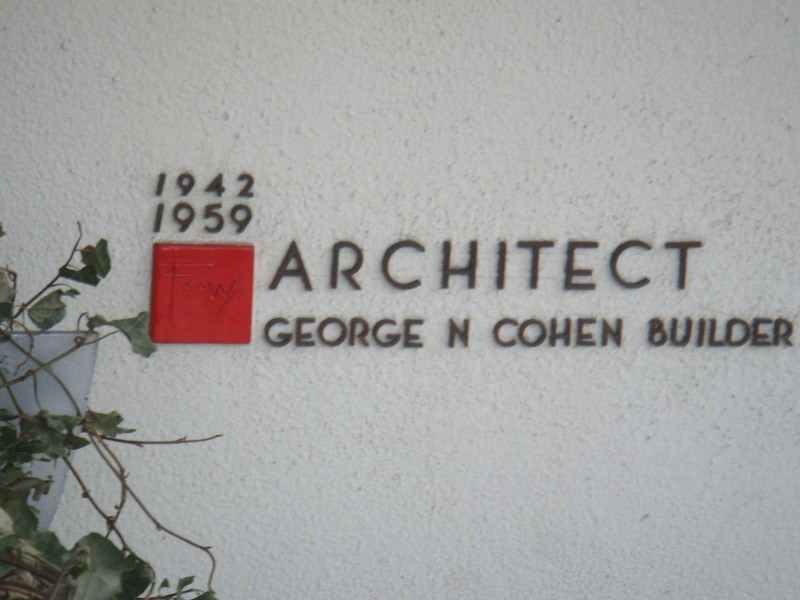 As a little homage to the master today, I wandered over to 140 Maiden Lane, where one can find one of Wright’s best-known works in the San Francisco Bay Area. Along with the Marin County Civic Center, another well-known design is a small gift shop off of Union Square, originally designed as the V.C. Morris Shop. Wright’s version of the Richardsonian Romanesque arch looks extremely modern in this brick setting, completed in 1948. 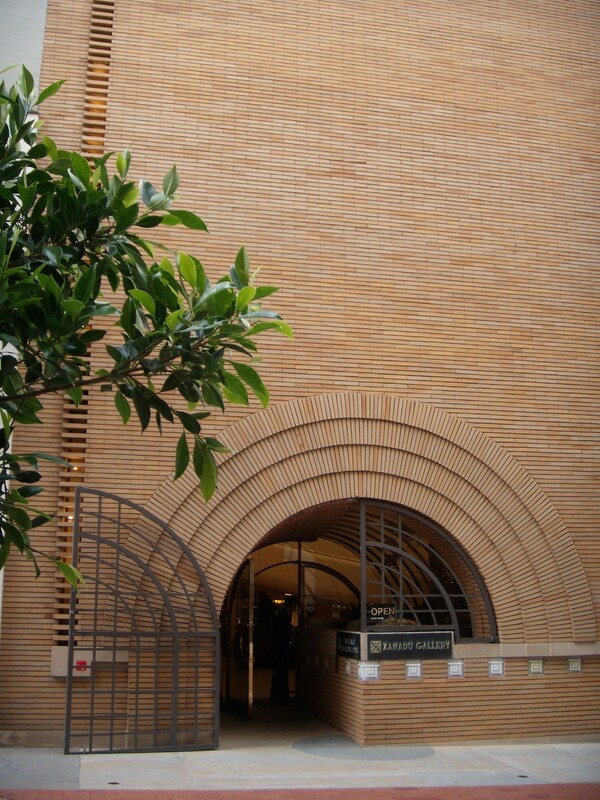 The shop, Wright’s only San Francisco work, is now the Xanadu Gallery, and the interior remains a showcase for one of his earlier attempts of the spiral ramp design that he also used in the Solomon R. Guggenheim Museum in New York, which was completed a few months after his death in 1959. Wright was a bit obsessed with the spiral, according to Brendan Gill, in his amazing biography, Many Masks, A Life of Frank Lloyd Wright. 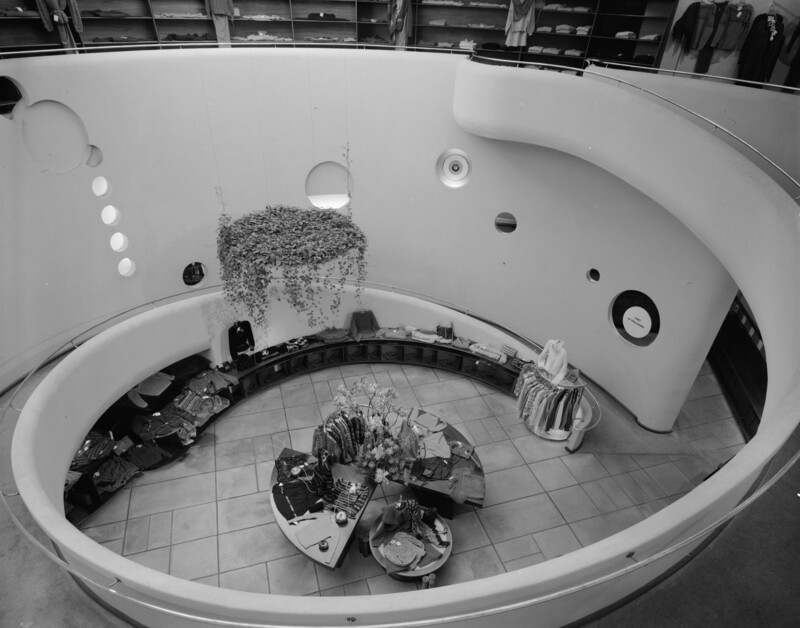 The spiral appeared in many unrealized projects, as well as in the Hoffman Jaguar salesroom in New York. 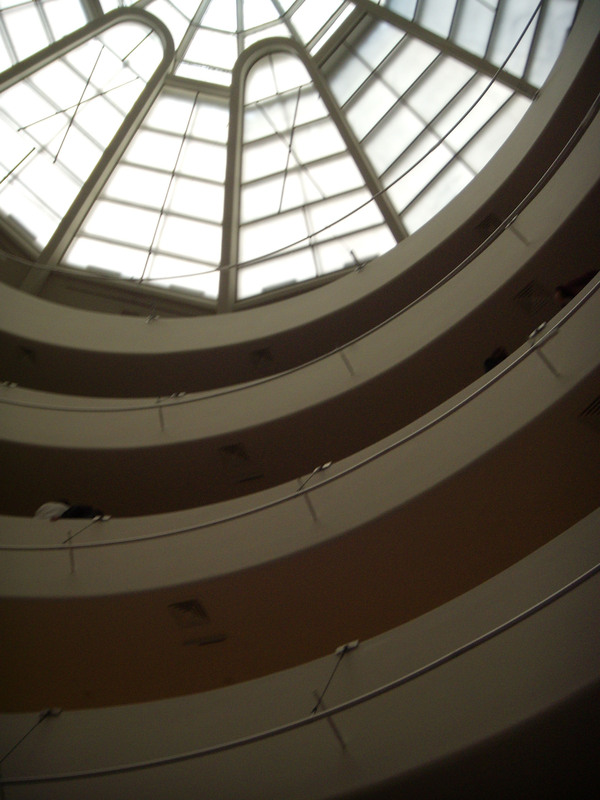 It is of course best known in the Guggenheim on Fifth Avenue in Manhattan. When Wright was in San Francisco in 1945, possibly visiting the clients or the site for the V.C. Morris store, he met with architect Timothy Pflueger, who took him out to breakfast. We won’t ever know what happened at that meeting, but it’s nice to know that Wright and Pflueger met. Sadly, Pflueger noted the appointment with Wright without any comments. Wright had been hearing about Pflueger’s work from the editor of the Architectural Forum, Howard Myers, who wrote a letter in 1939 to Wright praising Pflueger’s work. According to a 1984 book compiling letters to and from Wright, called Letters to Architects, Frank Lloyd Wright, Myers wrote, “San Francisco can boast a really inventive architect in the person of Timothy Pflueger,” upon his return to New York from a visit to California. He described Los Angeles as “incredibly dull” and San Francisco “very exciting.” It does not appear that Wright replied to Myers’s comments about Pflueger (are we surprised?). But one can be sure that Wright’s 1945 breakfast with Pflueger involved a spirited discussion about architecture!